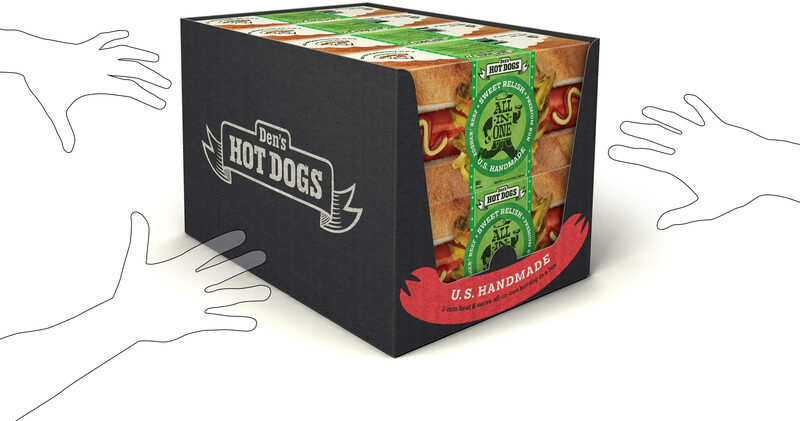 Den’s Hot Dogs is&nbps;a brand of American hot dogs for a quick and tasty snack. 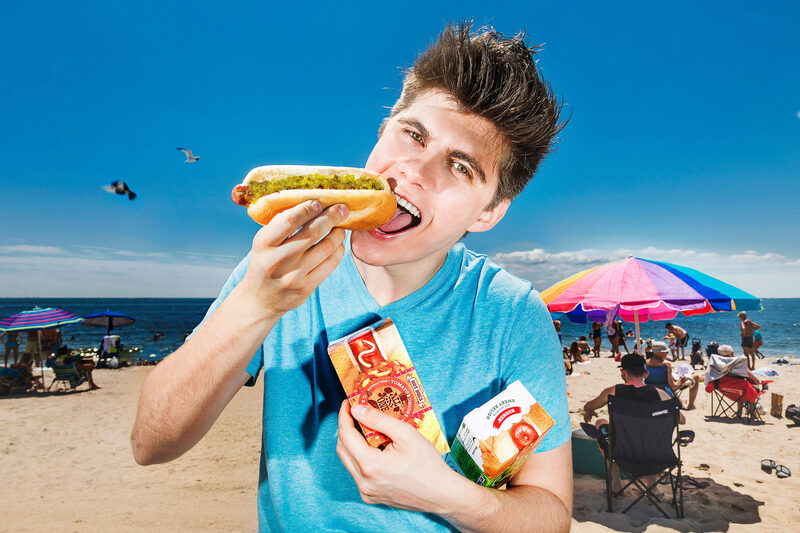 Now, in addition to gas stations and mini markets, Den’s Hot Dogs are available in grocery stores where people can stock up on a week’s worth of hot dogs. 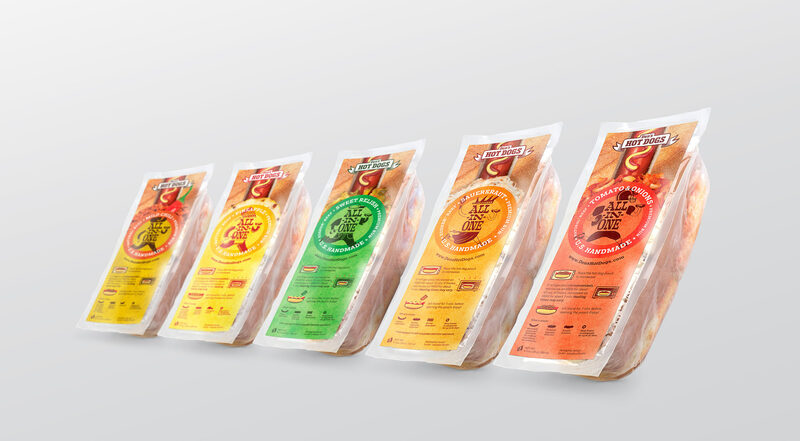 This new buying option required updated packaging which we created. First of all, we updated the logo. 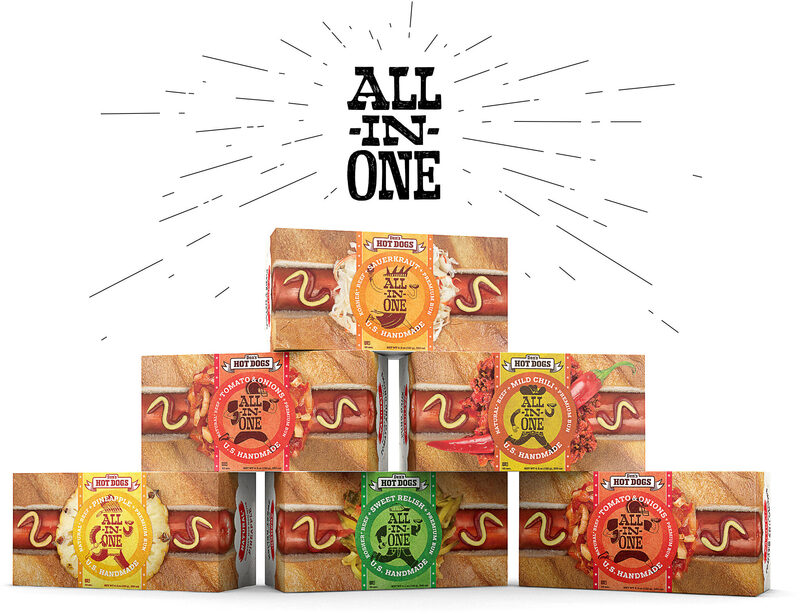 The old slogan “On the Go” turned into the more relevant “All in One” since now you can also eat the hot dogs at home. Dinner’s ready, everything is already in the box, all you need to do is heat it up in the microwave. Buying many hot dogs is easier when they come in soft plastic packaging. Just like the box, the label contains instructions on cooking the hot dog and a list of the ingredients, all in pictures! We also created large baskets for boxed hot dogs that can be placed in shopping malls and that make transportation easier.